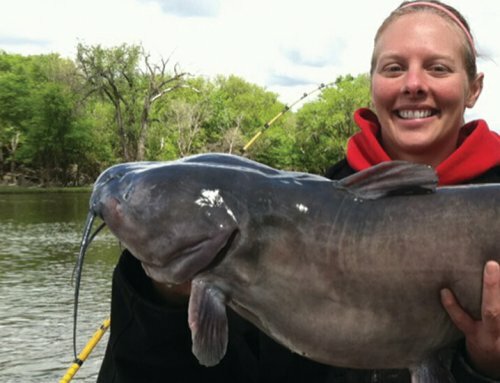 A sought after fish in Iowa no doubt, the smallmouth bass holds a special place in angler’s hearts where they are found. 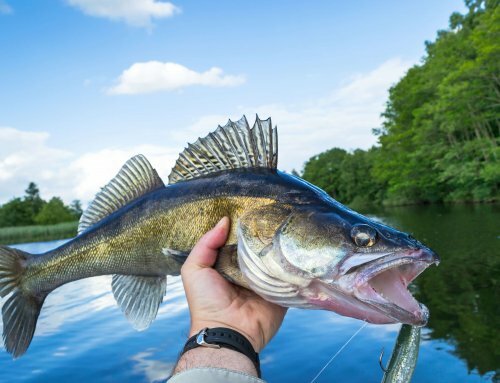 Often targeted in streams and rivers, many fishermen forget about lakes to get their fix on these feisty bass. Indeed many lakes in Iowa are devoid of smallmouth but a select few can certainly offer up a healthy dose of bronzeback bouts. Lakes such as West Okoboji and Big Spirit are historic smallmouth factories and have the potential to produce fish of colossal size. Other lakes such as Big Creek and Brushy Creek also contain smallmouth but not in the numbers that the Iowa Great Lakes do. Finding them in the summer months can be a challenge but a few key pointers can help you narrow your chase. Summer smallmouth can a bit hard to predict in their ways and that is one reason why anglers may give up on them when the mercury rises. You might find them shallow, they might be roaming, and they might be deep or even holding tight to specific types of structure. When the water gets warm the bass tend to rely on three key variables; food, cover and access to deeper water. Find these three items and there is likely to be a bass or three in the vicinity. If there is one type of lake bottom I will look for over anything else it would be something with sand, rocks and scattered weed growth. This type of bottom offers the bass a place to ambush prey and is ideal habitat for forage species such as minnows, crayfish and young perch. If sand is not present then hard-bottom is the next best bet. The rocks do not have to be a boulder field either like they have on some of the northern lakes. Sparse rocks are still great and this type of structure is definitely available in the Okobojis and Spirit Lake. Some lakes such as Big Creek and Brushy Creek have a large amount of rocks along the shoreline that drop off to deeper water. These can be key spots especially in the morning and evening when the bass are actively feeding and pushing bait up against the banks. These rocks can also hold fish throughout the day as the bass rest and ambush prey amongst the shadows. One of the few smallmouth I have managed to pull from Brushy came from this type of structure using a brown tube, jigged from the bank out to deeper water. Depth breaks, especially those with a sharper degree of change can be great for jigging and trolling. Combine a break with an underwater hump, inside turn adjacent to a rock flat or a rocky point and you may have just found “The Spot”. Every year I hear of anglers catching big brown bass along this type of structure, many targeting other species such as walleye or crappie. Sometimes smallmouth just like to hit the deep water whether seeking out cooler temps or simply getting away from rotten weather. By deep I’m talking 25-30 foot plus if the lake sustains greater depths. When this happens the anglers stuck on fishing shallower water tend to get frustrated and give up if those bass are uncooperative. When the atmospheric pressure drops, often accompanied with wind and rain is when this pattern can occur. Jigs and sinking minnow baits are the way to go in this case. Focus on deep structure and work slow. It really pays to cover a lot of water and find clues as to what the majority of bass are up to on that given day. 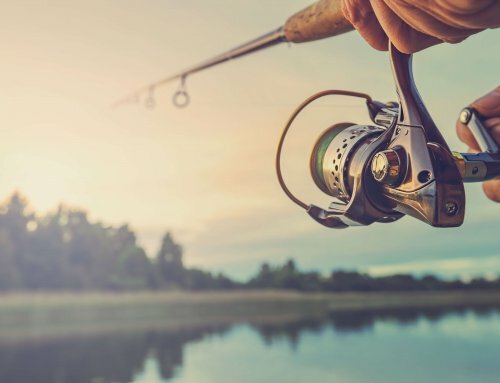 Search baits such as topwater stick baits, crank baits, jerk baits and spinnerbaits are all top choices when looking to locate active fish and burn over a lot of real estate. Quite often using these baits I have observed fish chasing but they were reluctant to strike. Times like these are when I slow down and break out the more finesse type lures such as hair jigs, drop shot rigs, tubes and more natural looking slow retrieve lures. 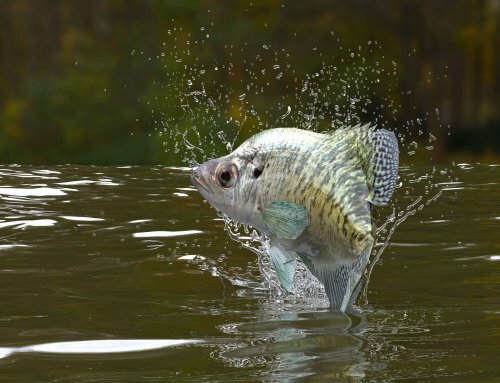 In dirty water, spotting a chasing fish may not be an option so I will typically start out with a semi-aggressive bait and work down to soft plastics or something slower if no takers present themselves. Another hot tactic that is extremely simple is to thread a tube jig on a jig head, make long casts and simply retrieve slowly, swimming the tube over and around areas you think may hold fish. Treat yourself to an adventure this summer and try some one of the lakes around the state for smallies. It may not be the numbers like rivers and streams produce but overcoming the challenge is what makes it so rewarding. Good luck on the water! These are some of the lakes in Iowa known to contain smallmouth. 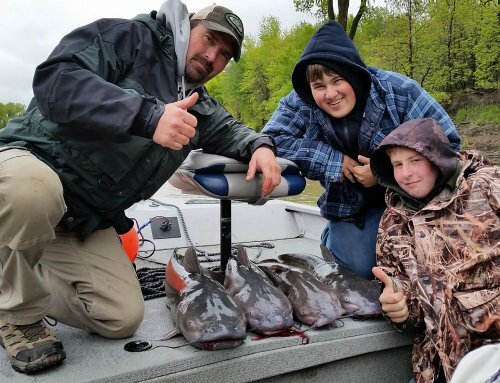 There are likely others that have fishable populations yet may not be recognized by the DNR.